London Olympics 2012 is at the corner only a few weeks away folks. 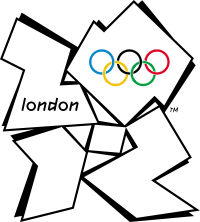 If you are planning to visit London to see the Olympics 2012 then to make your task a little bit easier we have listed the Top 10 Best Popular iPhone Apps for London Olympics 2012 exclusively only for you. This App is made specially for those users who cant just wait to know the start of the Olympics. It provides a countdown timer. It is displayed on your Smartphone screen so that you get updated with the start time left in the Olympics. This App gives you free WiFi access offered in various places through out the Olympics at London. It also enables you to locate places like café, restaurants and hotels without any Internet access as maps are pre integrated in it. It is the complete guide which will guide you all the way in the city without facing any problems in looking for something. If you are lost somewhere then you can even trace back to your home safely without any strangers help. This App provides all the necessary transport info regarding buses and trains. You can count on this App as it provides all the updated timing of the transport facility so that you can reach anywhere on time. It is the most complete App by which you can have all the schedules of the events to be held. Along with the events schedule it also provides info such as medals standings with respective countries and the relevant game specified. If you are looking for an App that can provide all the news of around all the corners of the Olympics then this App is just for you. With this you can get info on all the current happenings in detail respective of the event. If you are choosy in the Olympics games and want to have the news of the specific events then it is all possible with this App. All you got to do is just download this App and select the event that interests you. With this amazing App you can get all the info in details that are occurring at the Olympics. To not get you lost and to help you out in reaching the destination events’ place this has got all the updated maps and the GPS. This wonderful App has got 5 different Tabs. And the best news is that you get all of this info offline without spending any extra money on the data charges. A countdown clock is also provided to let you know the time left for Olympics. And finally it is the last App and you must have this App. It enables you to get the news of all the events right on your finger tips. You will not miss any event happenings. So folks download the whole collection and have fun in this Olympics season.